This home is relaxing, inspiring, and beautiful inside and out. Hardwood floors, slate and granite throughout, windows with mountain views on every level. Master suite with wet bar and balcony. Wrap around decking, sound studio, office and guest room, laundry room and a den on lower lever which could be a second master bedroom. 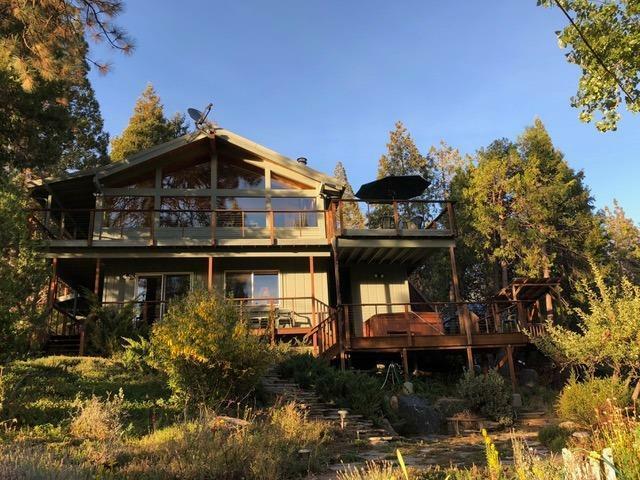 Knotty pine walls and ceilings, wood stoves, slate fireplace, screened in porch, sauna, mountain views from your Jacuzzi on the deck, over-sized garage, immaculate grounds and tree house! You will make wonderful memories for your family here.